Shoulders are integral to the performance of many tasks, whether it is lifting in the workplace, gardening, playing sports, carrying the children or even cooking in the home kitchen. Injuries to the shoulder also usually cause pain and limitations in other areas of the body, for example, the back, arm and hand. As such, when an individual sustains a shoulder injury as a result of another party's negligence – for example, because of a car accident or because of health and safety failings in the workplace – it may be possible to secure shoulder injury compensation for pain, suffering and loss of amenity as well as any financial losses caused by the injury. For more information about claiming compensation for a shoulder injury, contact Scotland's leading personal injury firm today by calling 0800 0891 331. How much is your shoulder injury worth? Your claim for a shoulder injury could merit compensation for pain and suffering of between £2,250 where there is a complete recovery and £28,000 where your injury constitutes a significant disability. In this case the injured party was involved in a road traffic accident. As a result of the accident he suffered a soft tissue injury to his right shoulder. He suffered pain and tenderness in his right shoulder and this caused some functional limitation. As a result of the shoulder injury he couldn’t lift anything heavy, wash his car, carry out DIY. He was also unable to continue with his hobbies of mountain biking, swimming and squash. Five years after the accident he was told his shoulder symptoms would be permanent. The amount awarded for pain and suffering by the court was £11,651.68 RPI. In this case the injured party was involved in a road traffic accident. As a result of the accident he sustained a soft tissue injury to his left shoulder. He began to suffer pain in his left shoulder immediately after the accident. He also suffered minor neck and chest injuries. After 6 months his shoulder was still painful however his shoulder symptoms were expected to resolve within 12 months of the accident. The amount awarded for pain and suffering by the court was £3,106.29 RPI. In this case the injured party suffered injury as a result of problems during her delivery. When she was being delivered there was a degree of a condition known as shoulder dystocia. After she was born she was found to have suffered damage to the braqchial plexus on the left side. She had to undergo surgery on her left shoulder aged 4. She also had ongoing physiotherapy and treatment. She was left with a droopy left shoulder, pain and functional limitations. Her future employment, hobbies and cosmetic appearance were affected and her symptoms would be permanent. The amount awarded for pain and suffering by the court was £43,878.16 RPI. Are you thinking about making a shoulder injury claim? 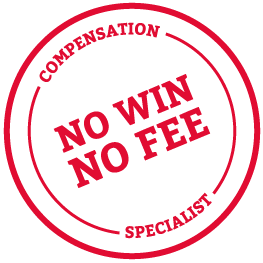 While the above figures are only a guide, you can rest assures our personal injury solicitors will strive to achieve the best possible compensation amount appropriate to your injuries. The amount you are awarded for your pain and suffering will depend on your particular injuries, how they have affected you and your recovery from them. To speak to a member of our experienced team please call today on 0800 0891 331. We can quickly establish whether your claim is viable and you will be under no obligation to go ahead once you've had time to consider our advice.